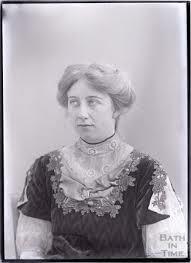 Between 1909 and 1914 Torquay’s Suffragette Organiser Elsie Howey (1884-1963) was “in the vanguard’ of militancy”. She was imprisoned at least six times, went on hunger strike and was force fed on a number of occasions. Elsie’s commitment to the cause of women’s suffrage began in her early years when she lived in Germany and, “she had first occasion to realise women’s position”. 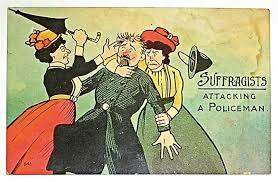 She later joined the Women’s Social and Political Union (WSPU) and in February 1908 was arrested for taking part in a demonstration outside the House of Commons. She was sentenced to six weeks’ imprisonment and, at the end of her term, immediately went to help at a by-election in Shropshire. Elsie responded to a call for “young women with private means” to work as honorary WSPU organizers for a year. Supported both financially and morally by her mother, Elsie spent the year working in Devon where she helped to establish a Suffragette presence. 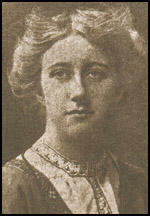 In March 1909 Elsie was appointed as the WSPU organiser in Torquay and Paignton, and opened a WSPU shop in Torquay. 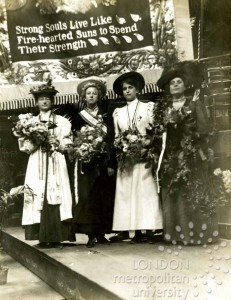 On 16th April 1909 Elsie achieved national recognition when she headed a WSPU demonstration – dressed as Joan of Arc, in a full set of armour, “astride a great white charger” – to welcome Emmeline Pethick-Lawrence on her release from Holloway Prison. On 30th July she was again arrested for demonstrating at a meeting held in Penzance by Lord Carrington and sentenced to seven days’ imprisonment. Elsie promptly went on hunger strike for 144 hours. 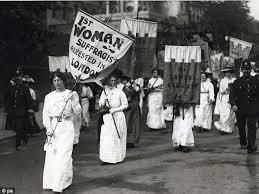 On her release she was presented with a travelling clock by Torquay’s Suffragettes. On 5th September she was involved with other Suffragettes in assaulting Herbert Asquith (pictured right) and Herbert Gladstone while they were out playing golf. Elsie and her friends also climbed into Lympne Castle in Kent where the prime minister was staying. 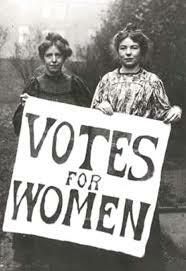 They demanded “votes for women” through the dining-room window while the Asquiths dined. The activists then escaped via an adjacent canal. 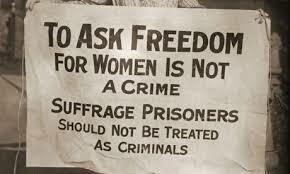 Elsie was once more arrested on 14th January 1910 and sentenced to six weeks’ hard labour. It happened again in March 1912 when she took part in the WSPU window-smashing campaign – this time it was four months’ imprisonment. At the end of 1912 she was back in Holloway for setting-off a fire-alarm. Her final imprisonment was in December 1912, though she was released early following a hunger strike which prompted questions in parliament. During her terms of imprisonment, Elsie remained completely dedicated to the cause. She endured several hunger strikes and faced forced feeding. 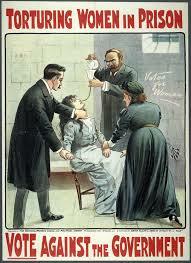 Injuries inflicted during the force-feeding broke most of her teeth – “her beautiful voice was quite ruined”. 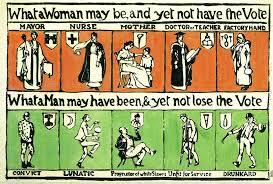 Elsie left public life when Suffragette militancy ended in 1914. She followed no career, and never fully recovered from the sacrifices she made in the name of the WSPU. She was “tired and ill” for much of her life. Her poor health, “almost certainly connected to her numerous forcible feedings”.